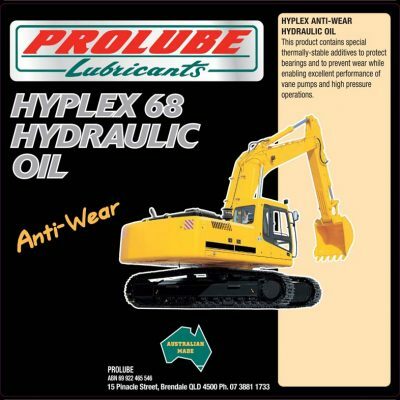 Prolube Hydraulic Oils are blended from High Viscosity Index, Virgin base oils and contain a special thermally-stable additive (ZDDP) which inhibits oxidation, protects bearings from corrosion and prevents valve train wear. 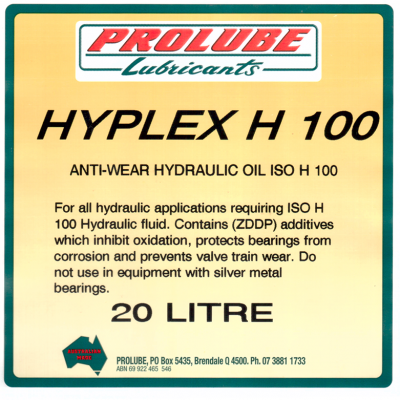 Prolube Hyplex Range provides excellent performance in applications such as machine tools, earthmoving equipment, agricultural equipment, hydraulic presses, rams and extruders. • Prolube Hyplex S Series – protects bearings from corrosion and prevents valve train wear. • Prolube Hyplex H Series – suitable for all types of hydraulic equipment working under extreme conditions, preventing thinning out at high temperatures. 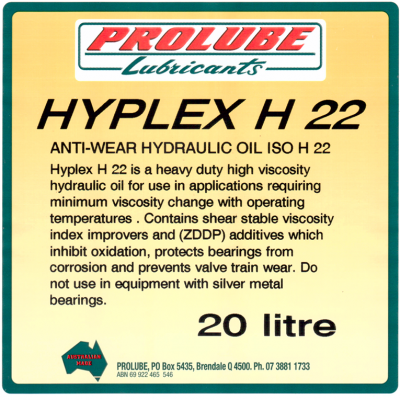 • Prolube Hyplex Z Series – used in all hydraulic systems, particularly those with components with silver bearing surfaces that are vulnerable to attack from standard hydraulic oils. 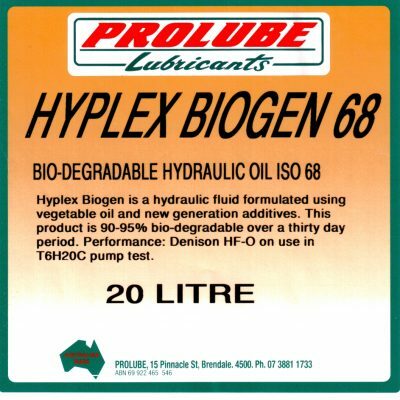 • Prolube Hyplex Transtec 10 – Designed for hydraulic systems where a low viscosity monograde SAE 10W oil is specified or indicated.